V8 Vantage The car received numerous updates in late 1995 including 6 round headlights replacing the original square units and engine revisions to meet stricter emission standards and noise requirements. At this time it was renamed the V8 Vantage. 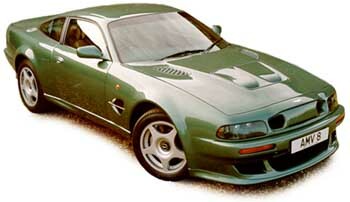 In 1997, from chassis number 70173, revised door mirrors (sourced from the DB7) were fitted. Chassis number 70194 and 70198 onwards had revised door handles and locks sourced from the Ford Mondeo. Built from April 1995 until October 1999. 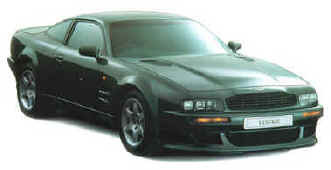 Chassis numbers 70091 to 70240, except for 70229 the Le Mans Vantage pre-production car. V600 The V600 first appeared at NEC show in Birmingham in October 1998. Rather than a new model it was a Service Department upgrade which included the Driving Dynamics Brake & Suspension upgrades along with the V600 engine improvements. 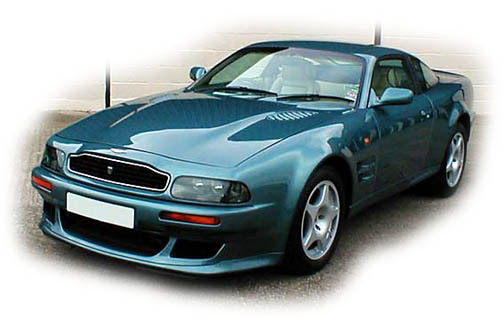 V8 Vantage Volante The last of the breed: the final V8 engined Vantages were a special run of eight Vantage Volantes with the shorter wheelbase of the V8 Vantage coupe. Offered only by special invitation to Aston's most loyal customers, each was finished to the owner's individual requirements. Options included the Le Mans bodywork, 600 bhp engine option and various body enhancements. Built to November 2001. Chassis numbers 71001 to 71008. 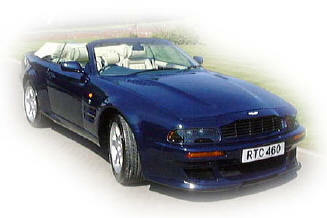 A single long wheelbase Vantage Volante was built.